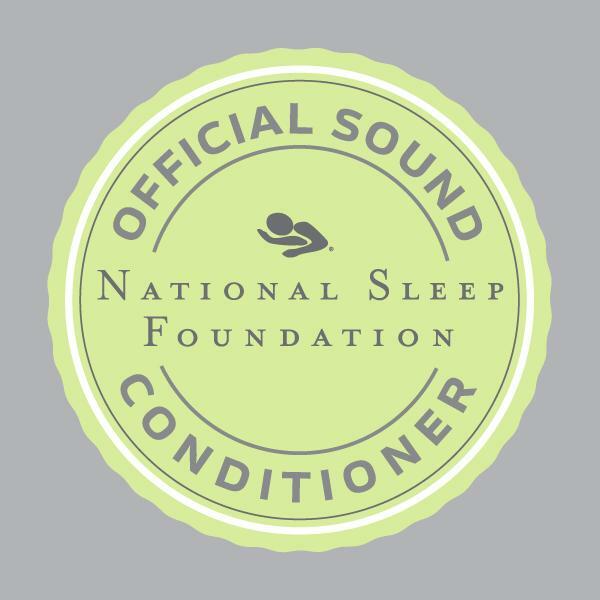 The Official Sound Conditioner of the National Sleep Foundation – this is what Serious Sleep is all about. Developed over 50 years ago, Dohm is the Original sound machine you’ve probably heard about. Its iconic shape is easy to recognize. Turn it on, and tune out the rest of the world. The Dohm-DS consists of a compact adjustable acoustic housing surrounding a two-speed electric motor with a unique asymmetrical fan. This design allows it to create the soothing sound of rushing air, Marpac Signature Sound, without the disturbance of actual moving air. This natural “white noise” sound has been proven to effectively block noises at a broad range of frequencies, so you can get deep, undisturbed sleep all night long. The Dohm’s two speeds and adjustable tone and volume allow you to control your personal sound environment with the simple twist of a wrist. This is what Serious Sleep is all about. 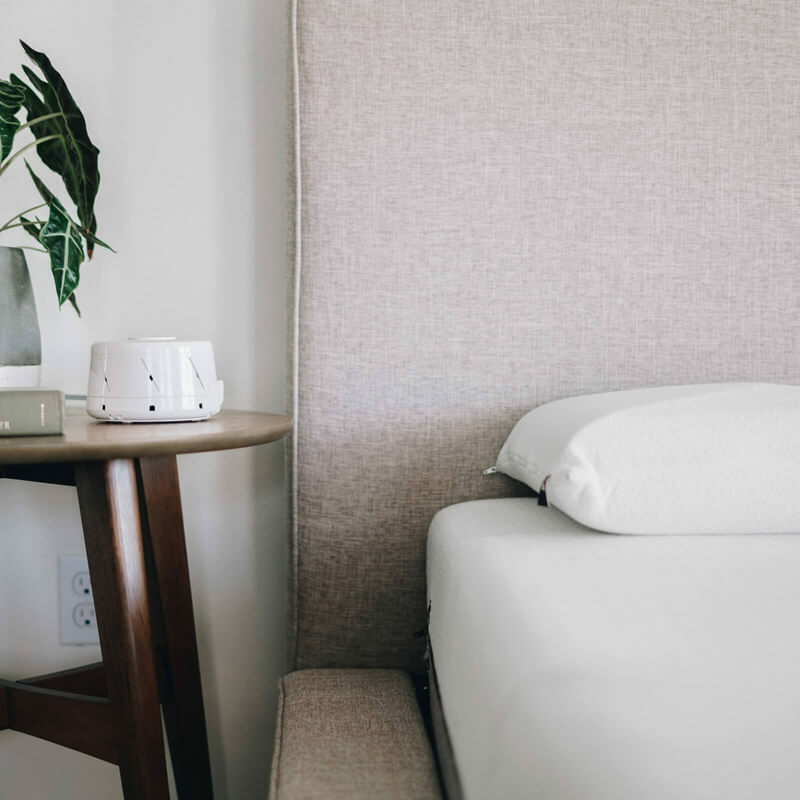 The Dohm effectively masks unwanted noises and creates a calming sound environment, making it easier to concentrate, relax, or get some serious sleep. 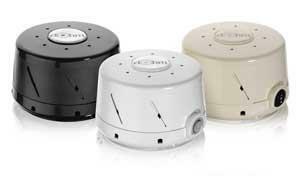 Dohm produces the soothing ‘shushhh’ sound of rushing air without the disturbance of actual moving air. It consists of a compact adjustable acoustic housing surrounding a two-speed electric motor with a unique asymmetrical fan, for greater flexibility in tone and volume. This design allows Dohm to produce a completely natural constant yet customizable sound – Marpac Signature Sound – using no digital loops or recordings. 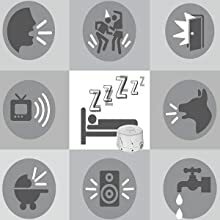 This simple, effective sound conditioner is able to block distracting noises across a range of frequencies for deeper sleep, relaxation, and concentration; it also helps protect confidentiality in places where sensitive information is shared. For those who prefer some noise to no noise at all, the Dohm provides a soft, comfortable background sound where it might otherwise be too quiet. Recommended for infants, restless sleepers, shift workers, students, spouses of snorers, apartment dwellers, and many others. The UL-listed Marpac Dohm-DS has an 8-foot power cord and runs on a standard 240-volt household current. It is simple and easy to use, yet customizable. First choose ‘high’ or ‘low’ setting with the flip of a switch, then fine-tune the sound to your preferred tone and volume simply by twisting the cap and collar. 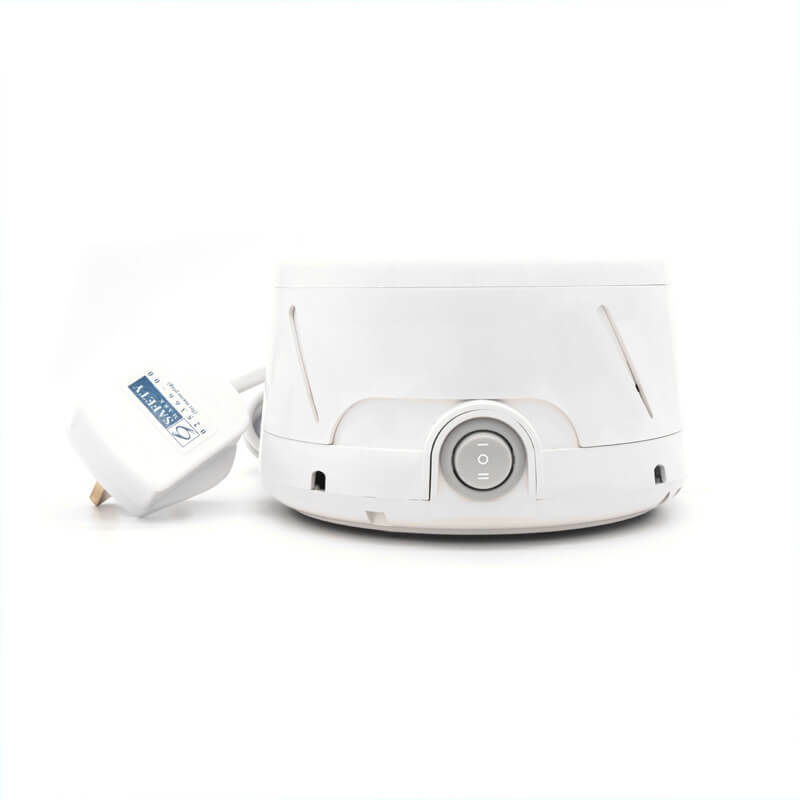 For quality, durability, and easy care, the Marpac Dohm-DS is assembled in the USA of sturdy plastic. This compact, portable sound machine is just 3-1/4 inches high with a base diameter of 5-3/4 inches, giving it a small footprint on your desk or nightstand. At just 1-1/2 pounds, the Dohm is light enough for easy traveling. 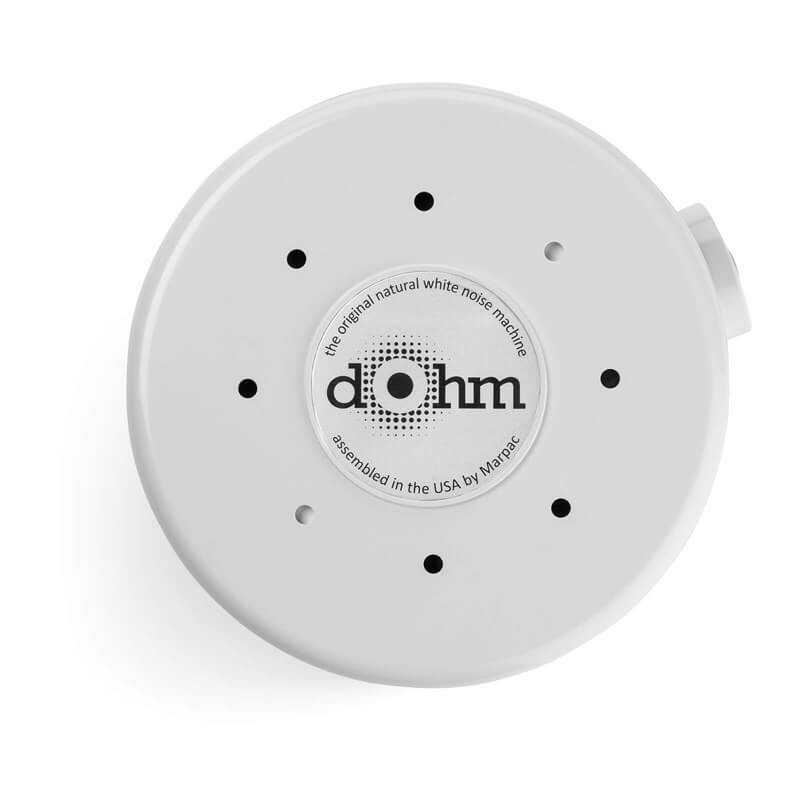 Life is noisy – Dohm can help. Love how you sleep, love how you feel, love how you live! Masks disruptive sounds from outside and inside the home. Whether you use it for sleep, concentration, or privacy, the Marpac Dohm-DS keeps distracting environmental noise from interrupting your day or night. It’s especially helpful in cities, apartment buildings, dorm rooms, and hotels. Also great for creaky floors, dripping faucets, loud AC units, and pet noise — or if it’s just too quiet! Helps babies (& their families) fall asleep and stay asleep. 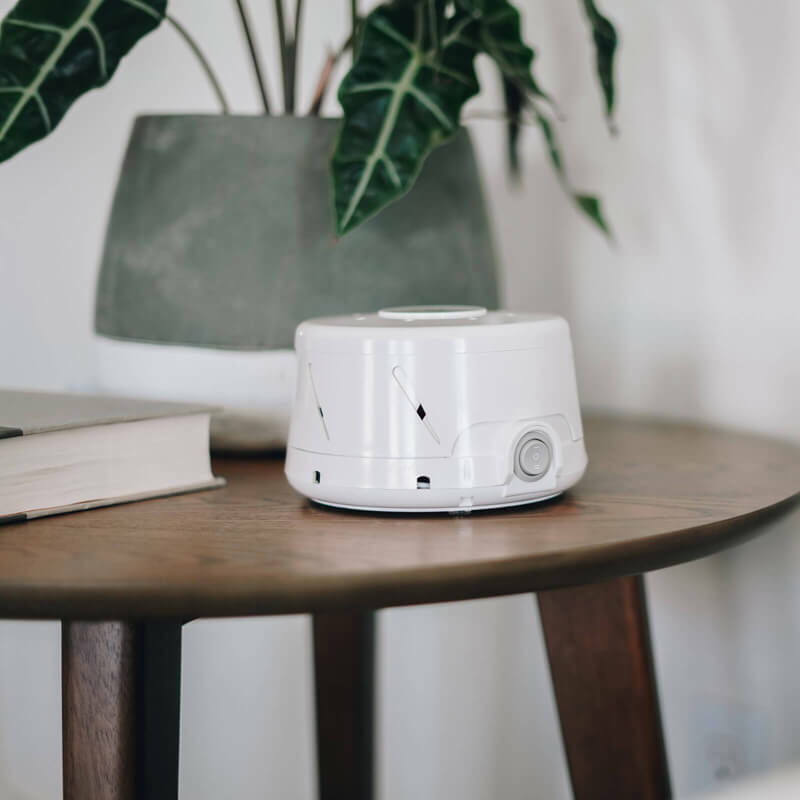 The soothing sound of the Dohm-DS lulls babies to sleep and produces a consistent, steady sound to mask noises which might otherwise wake them – naptime or nighttime. 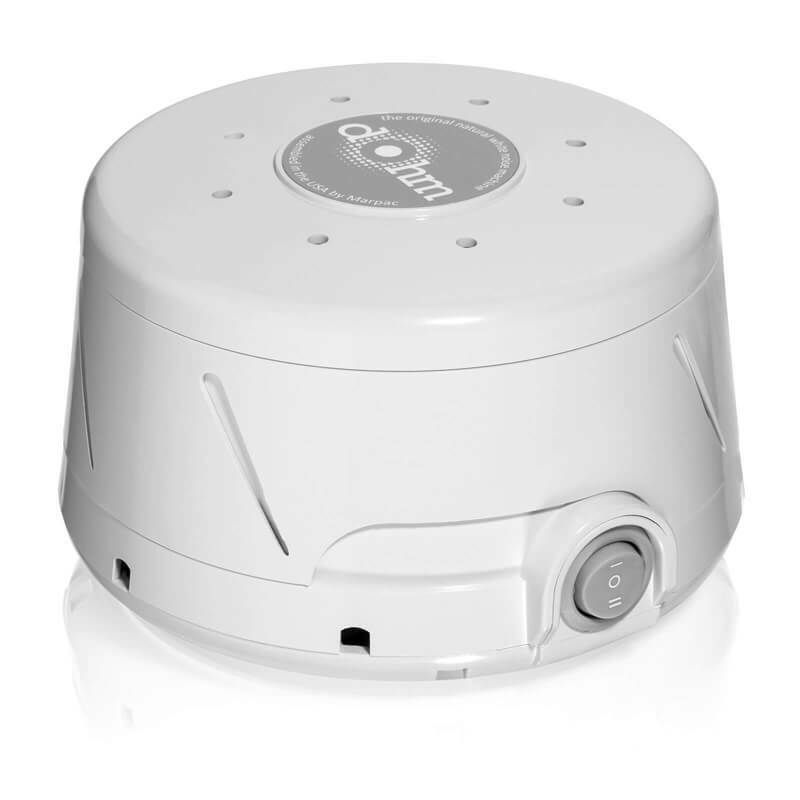 The sound of a Dohm is soon part of baby’s sleep routine, so it becomes a portable source of comforting, familiar sound, anywhere. Keeps all members of the household happy. Tired of tip-toeing or watching TV with subtitles? 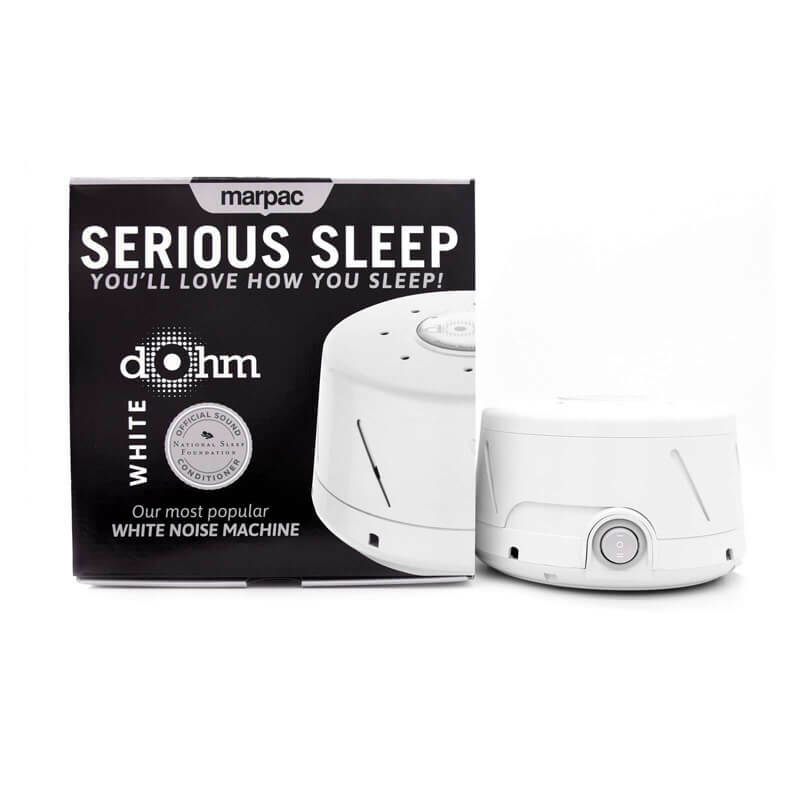 The Marpac Dohm-DS lets you have a life after your baby, spouse, or other housemate goes to bed. It’s also great for people on different sleep schedules, for shift workers who sleep while the rest of the world is awake, and for the many individuals with bed partners who snore. All-natural, non-digital, non-drug, simple sleep solution. 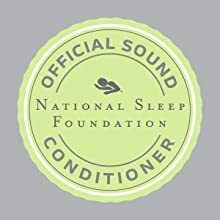 Marpac Dohm-DS is the official sound conditioner of the National Sleep Foundation. 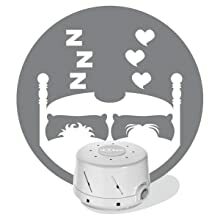 The NSF recognizes the usefulness of white noise both for masking disruptive sounds in the bedroom environment and also as a soothing part of the bedtime routine, and Marpac as the recognized leader in sound machines.